Lucy needed to get to the roof in a hurry and that meant taking the window Natsu was already leaning out of for his motion sickness. 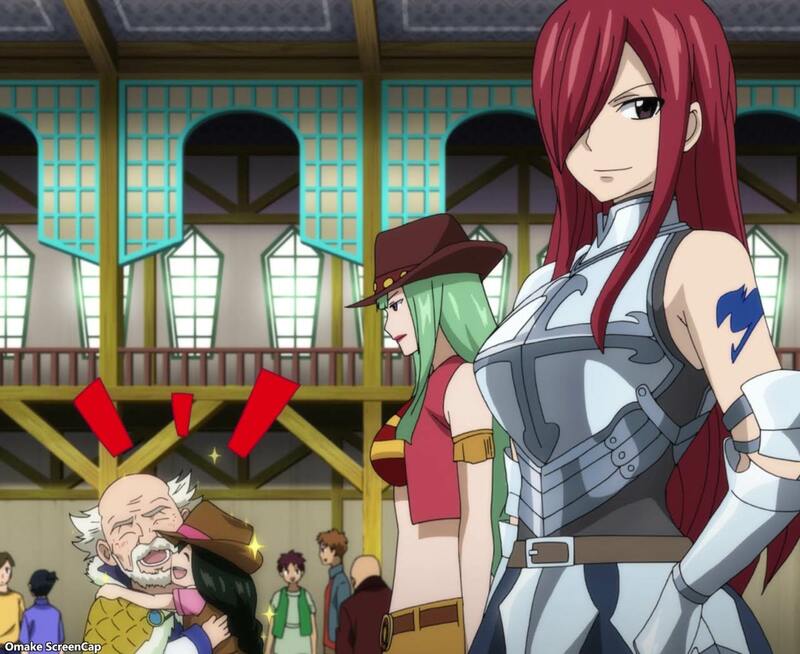 Wendy and Erza were so happy and grateful to find Makarov alive after they infiltrated the Albareth Empire. 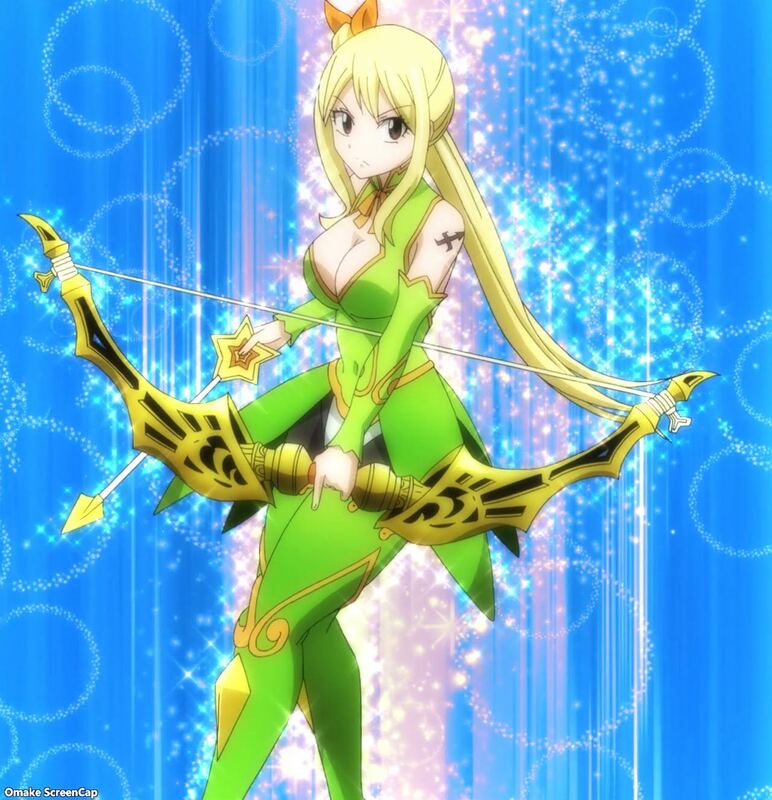 Things are never easy for Fairy Tail wizards as one of the Spriggan Twelve, Ajeel, came to put them down. He wasn't expecting how strong and audacious they were against his sand magic. Ajeel decided to get serious so Makarov gathered the young ones in his arms to protect them. But they all got rescued by Team B, Laxus, and a Blue Pegasus flying boat. 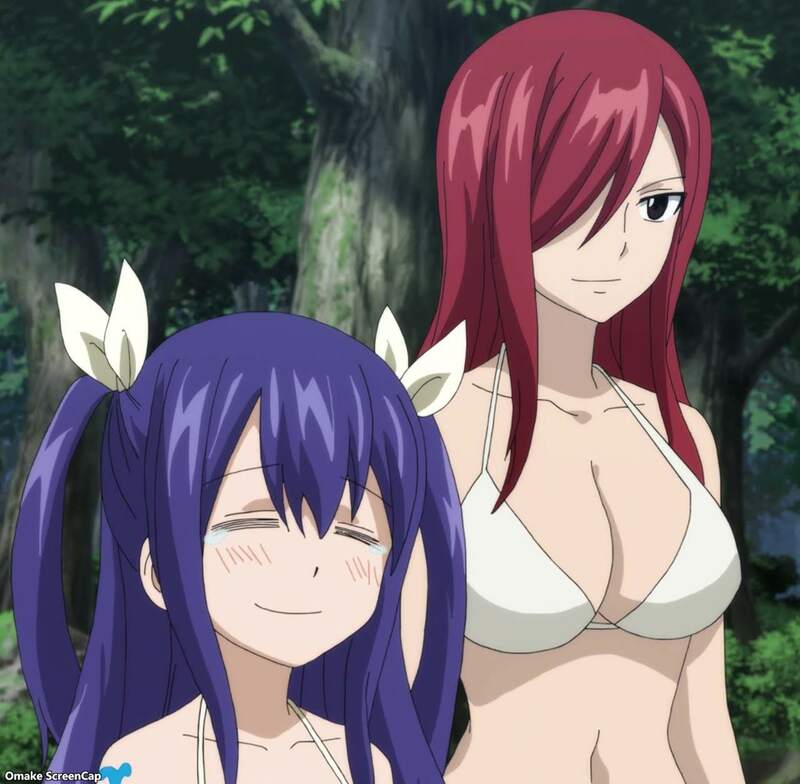 Juvia was so happy to see Gray. Gruvia 4Evar! 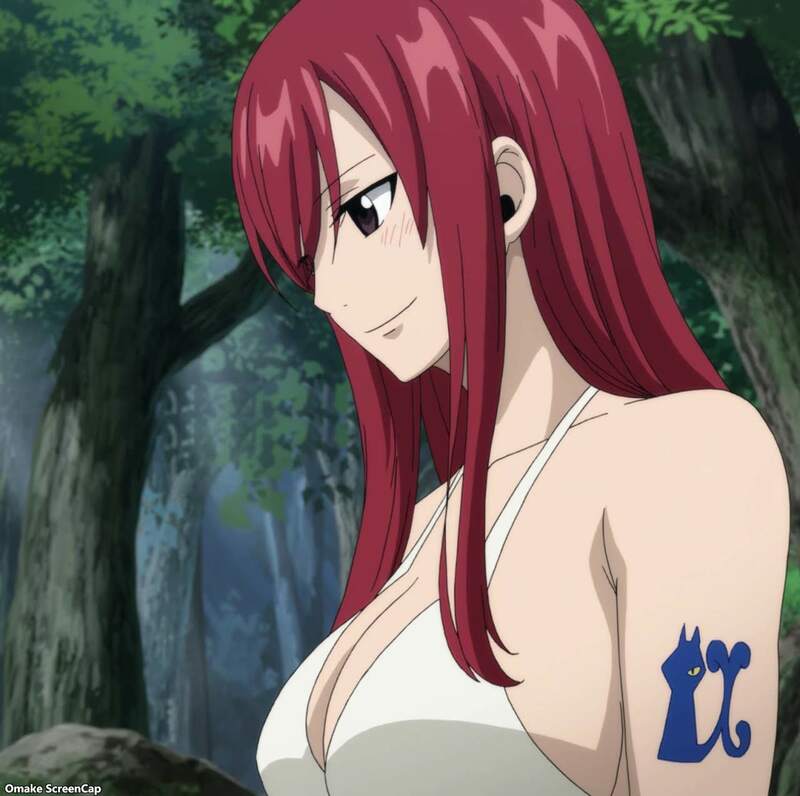 Fairy Tail parties are the best parties. 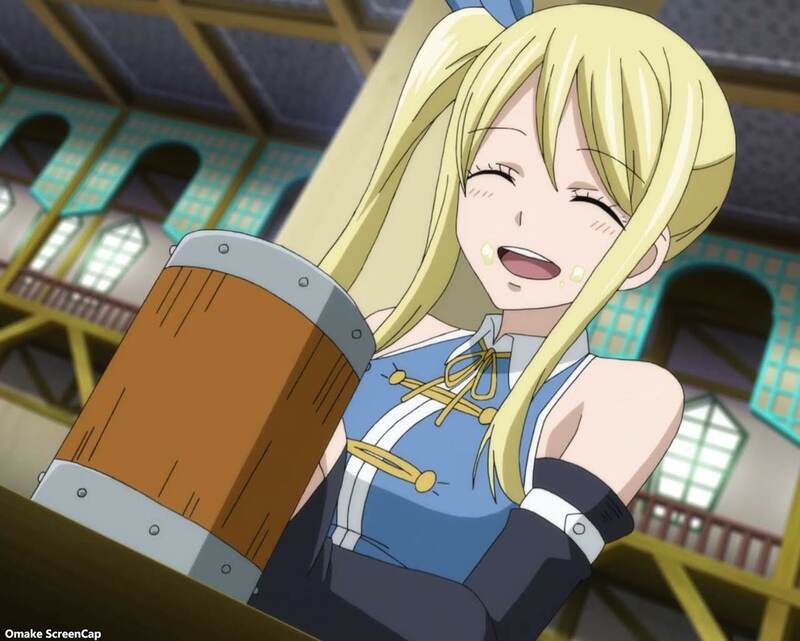 Cana even got Lucy to chug beer! She stuffed a whole bunch of fruits and stuff to make it a girl drink, but it was basically a mug of ale. 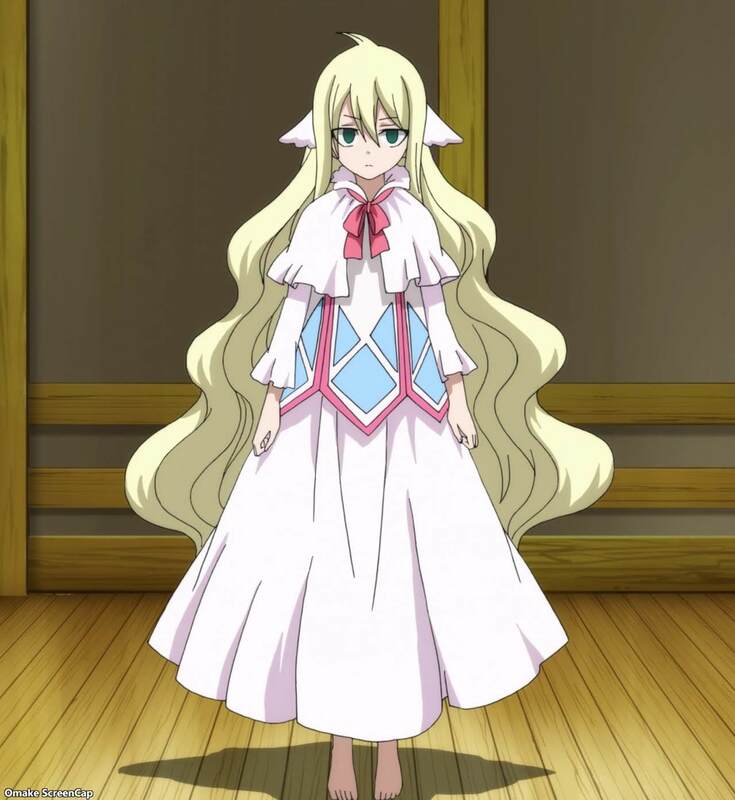 Mavis appeared to tell the guild why Zeref was so set on gaining Fairy Heart, her preserved body in a huge crystal. There's going to be a long flashback to the origins of Fairy Tail itself!